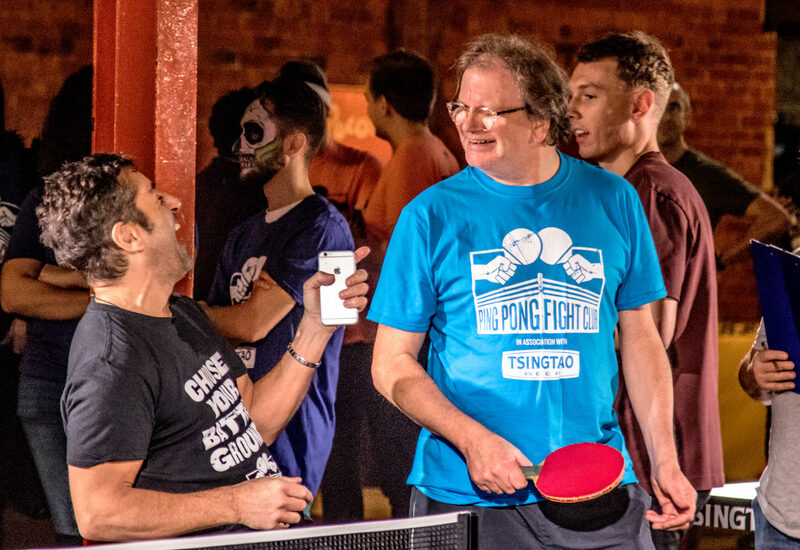 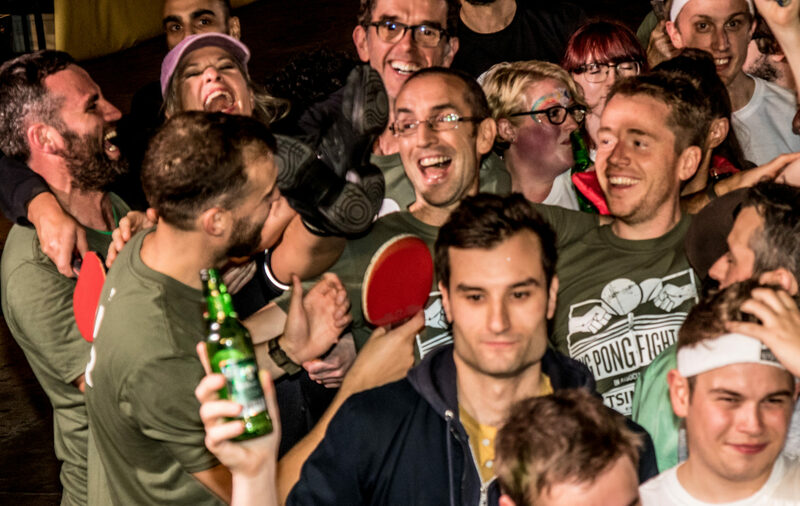 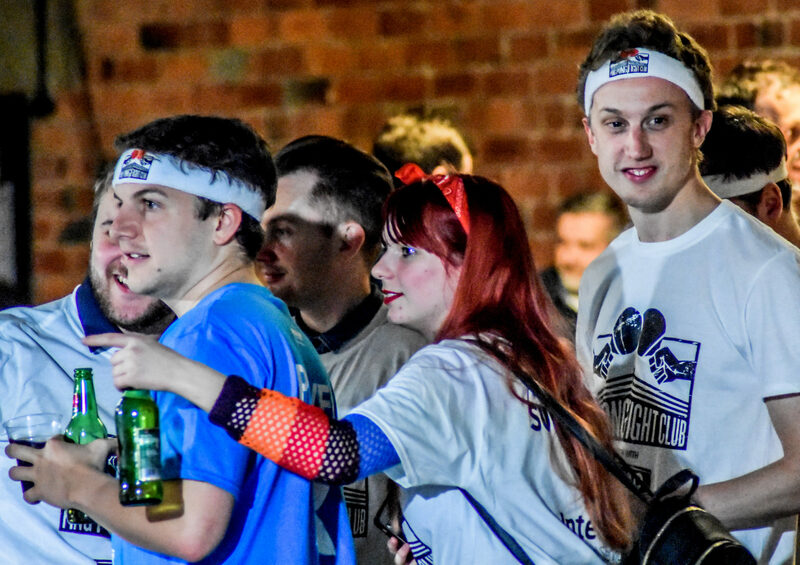 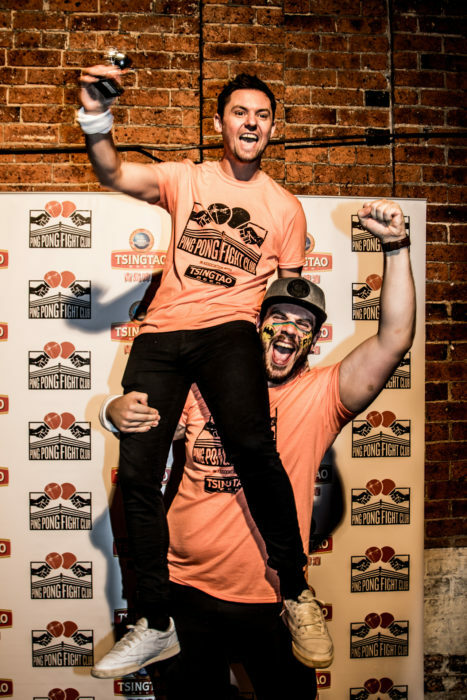 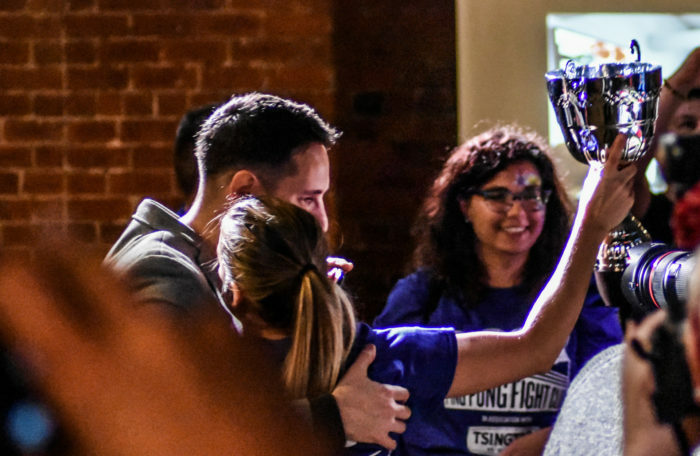 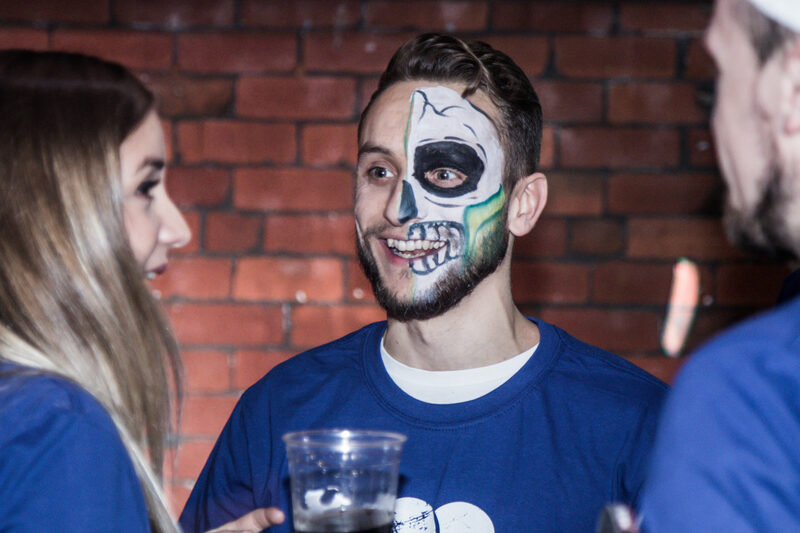 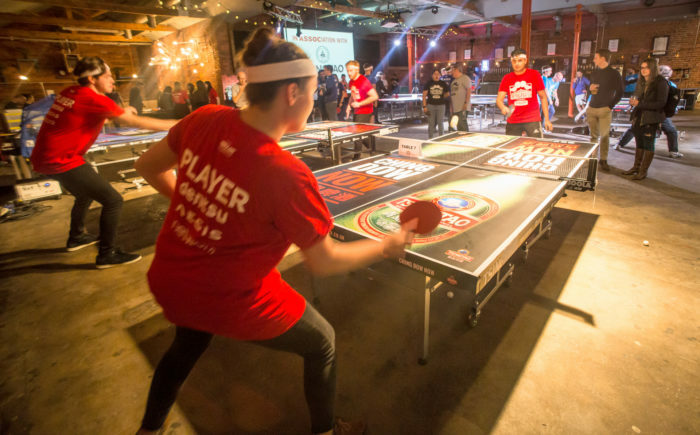 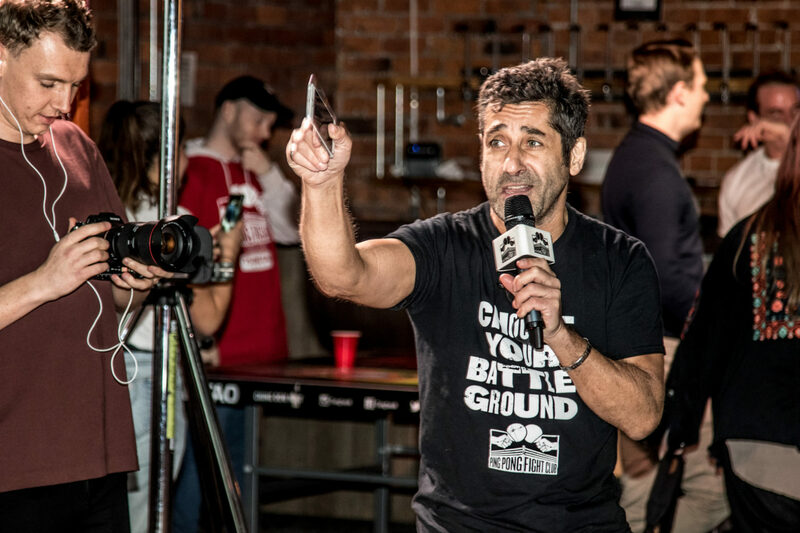 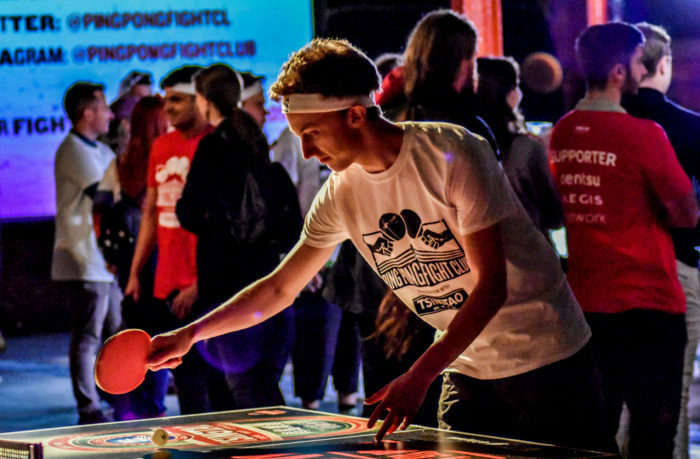 A massive thank you to all our companies who came out in force to take part in Ping Pong Fight Club Leeds on October 25th at Canal Mills. 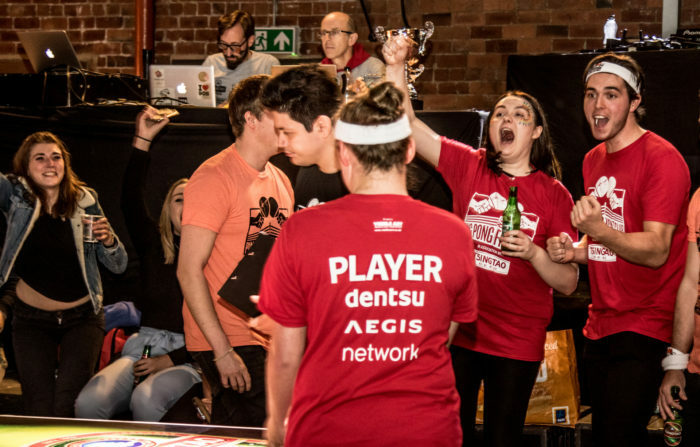 The energy, humour, rivalry and all-round tongue-in-cheekiness made for a memorable night with - no doubt - plenty of action replays in the office the following morning! 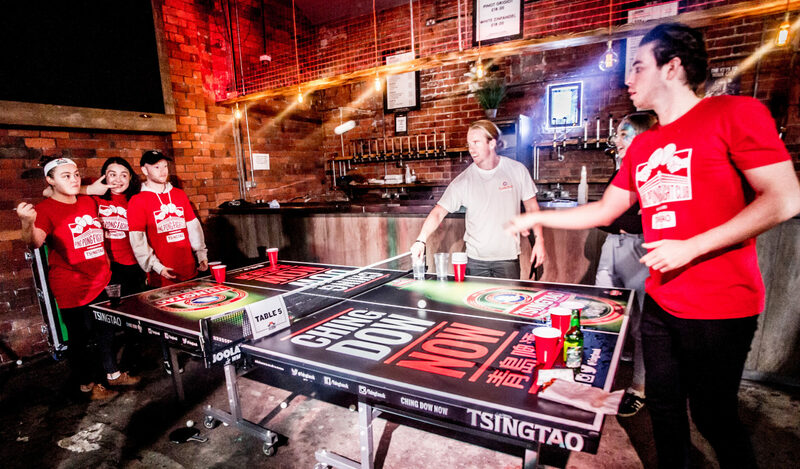 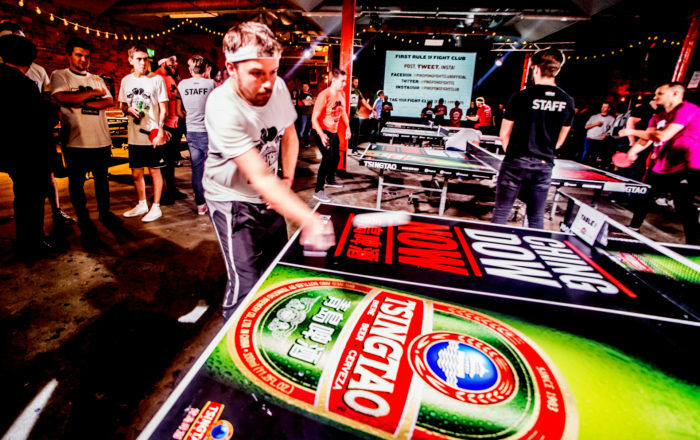 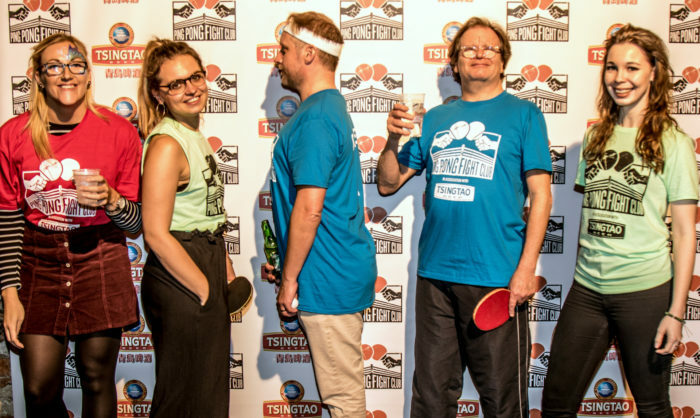 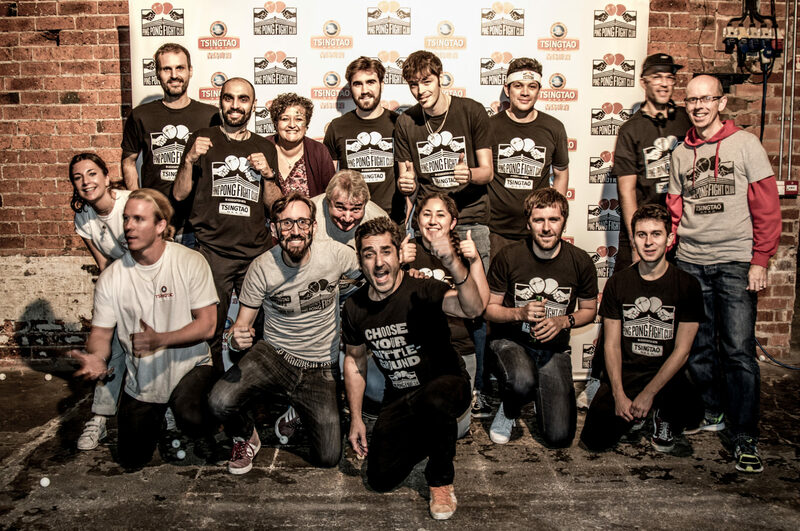 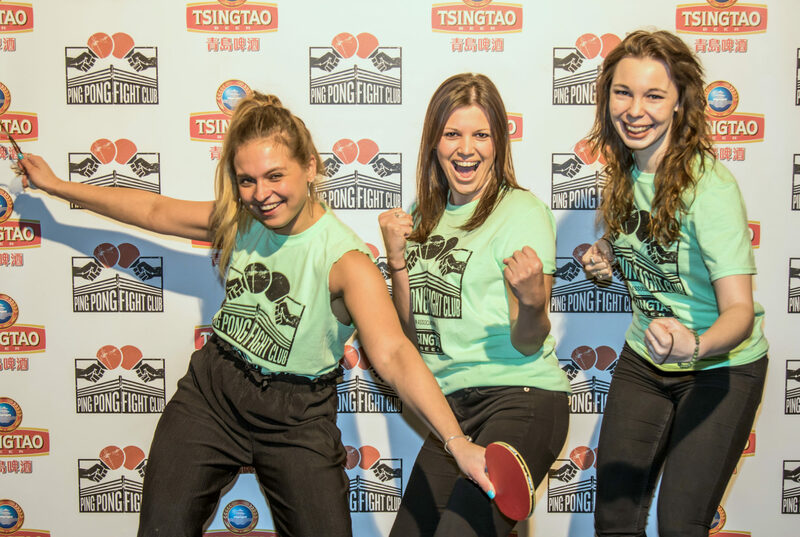 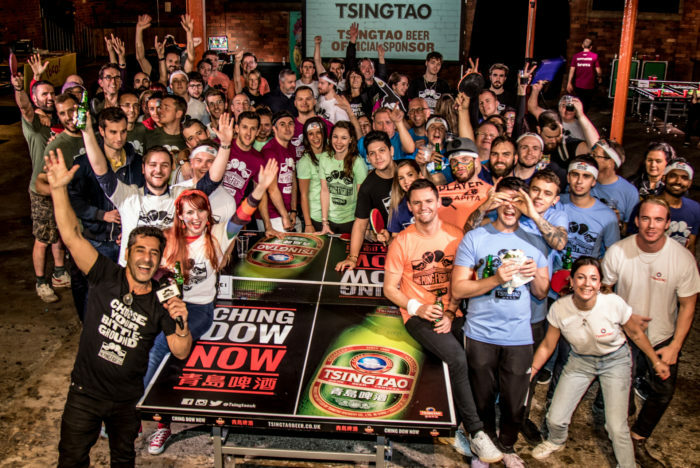 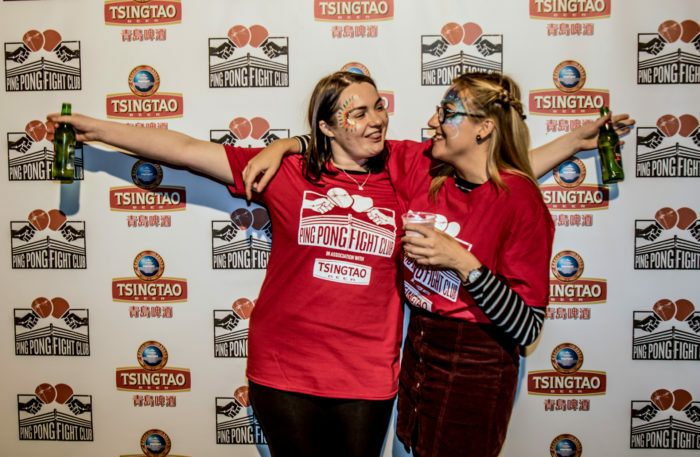 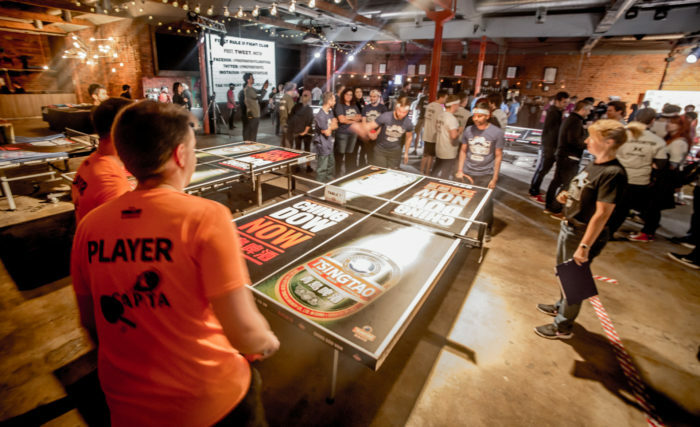 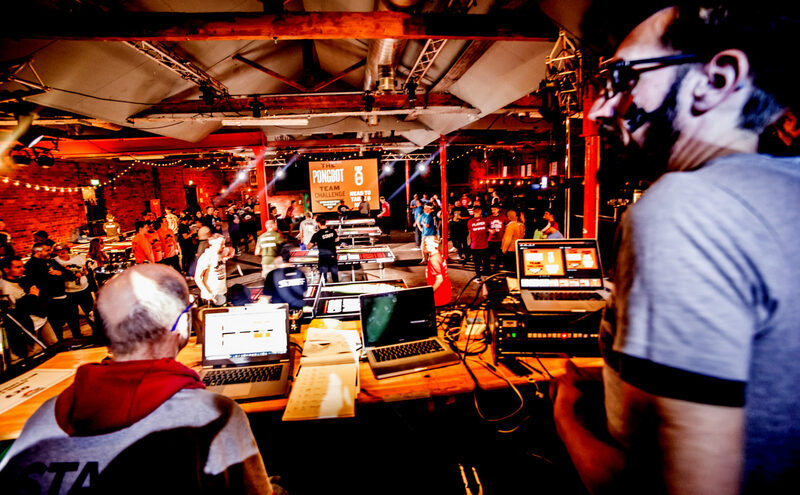 Huge big ups to Tsingtao Beer, our sponsors who have supported our ever-expanding UK Tour, all our amazing Ping Pong Fight Club crew, Table Tennis England for supporting our mission to increase the number of women playing the beautiful game, El Poco our amazing Sicilian caterers and Canal Mills venue for letting us have the space to play, party and compete in the only way we know how: with more fun than you can shake a paddle at! 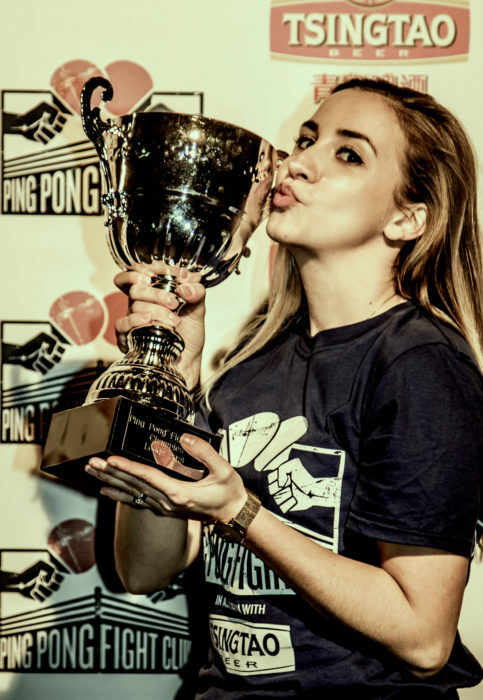 Brass Agency Women’s Team – We sent a Table Tennis England coach to their offices to get them ‘tournament ready’. 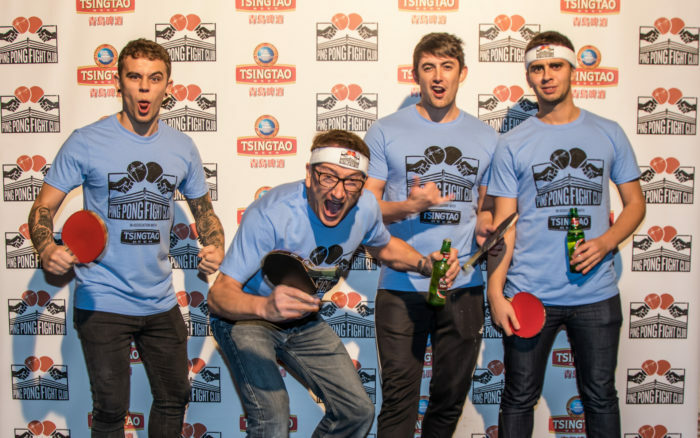 They were all magnificent on the night and truly embodied the Ping Pong Fight Club spirit, demonstrating some silky skills, wit and gritty determination! 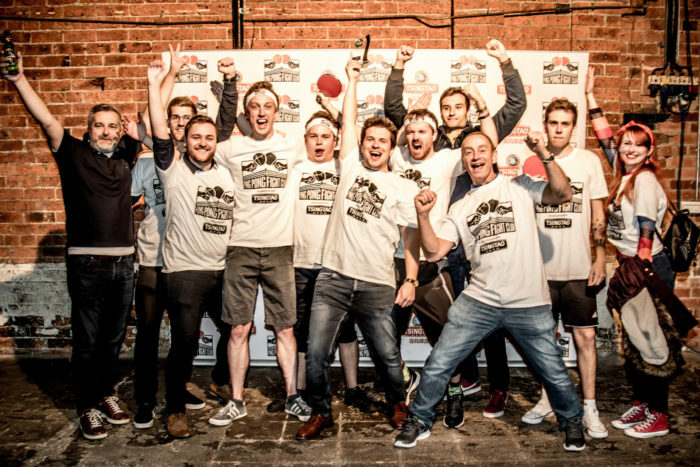 Brass Agency – Rowdy, unruly…can’t wait to have them back! 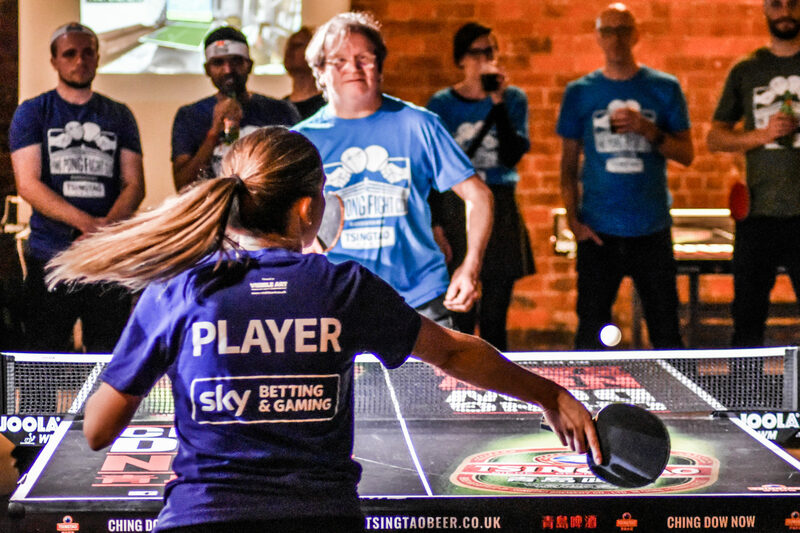 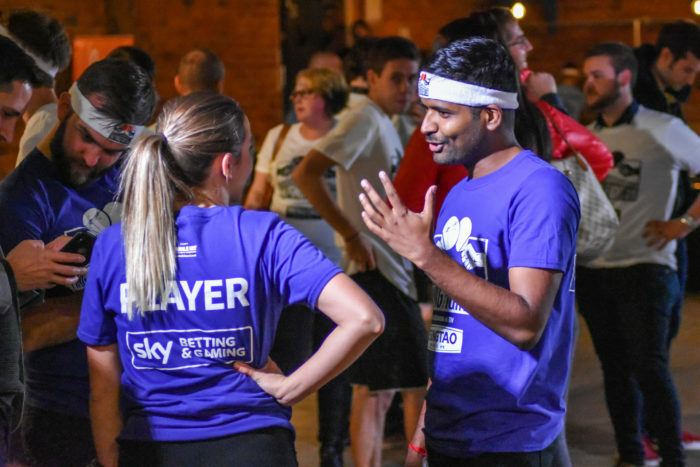 Sky Betting and Gaming – Reigning Champions who returned with a new team of smiling assassins…..do they have a ping pong player recruitment programme over there? 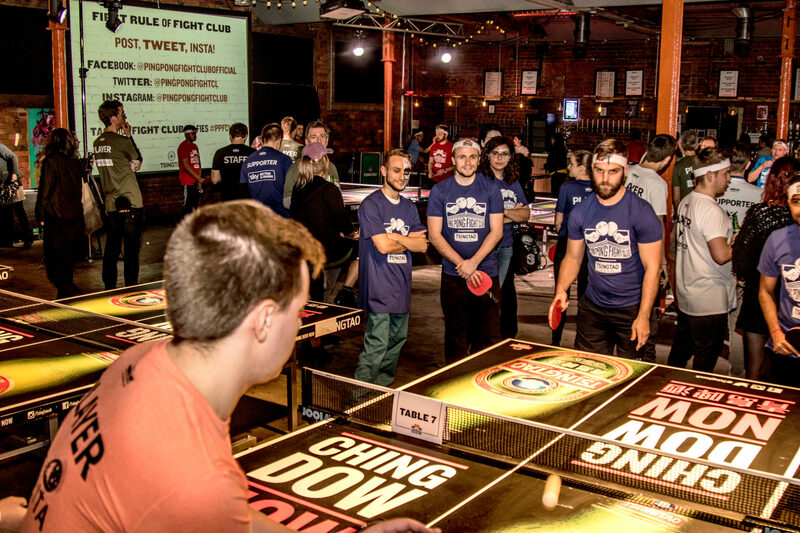 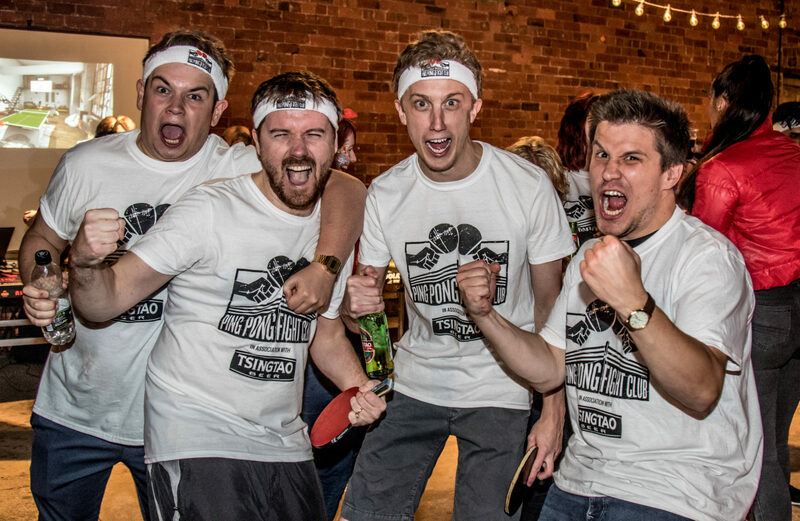 Emmerdale – Ping Pong Fight Club is in their DNA, witty and willing and always good value! 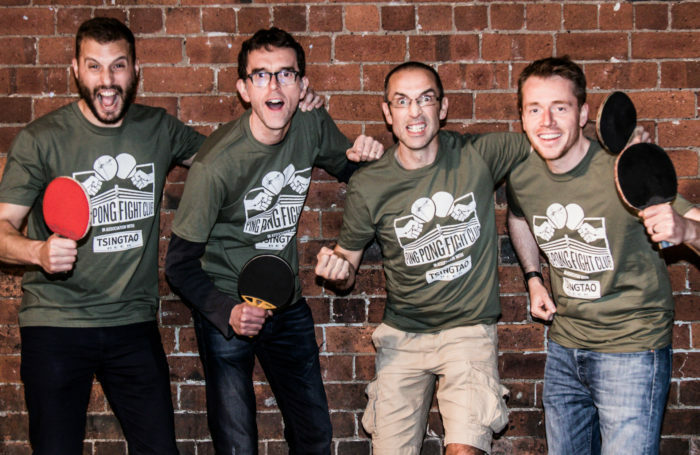 Interface Medical Services– Arrived as Fight Club virgins, left as Fight Club veterans! 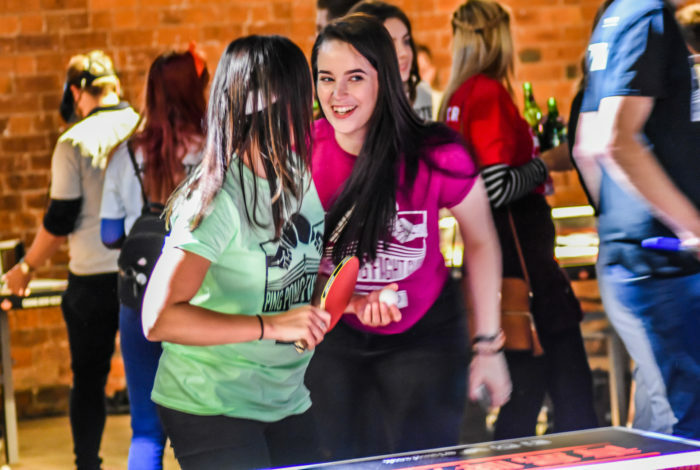 They were sensational on and off the tables! 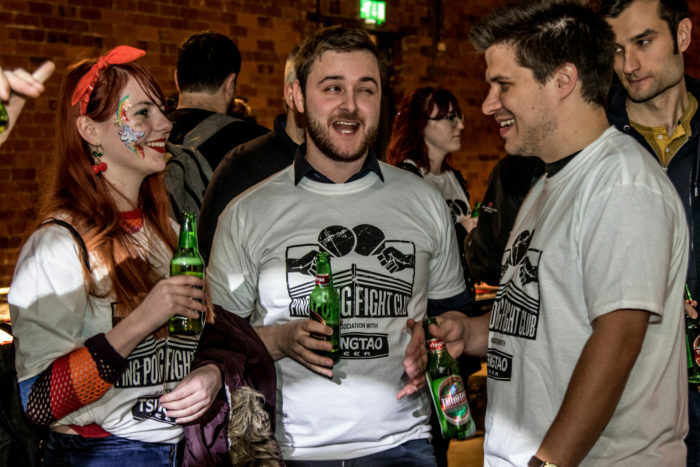 Capita IT– Fight Club newbies won loudest supporters prize, nuff said! Dentsu Aegis– A fully integrated ping pong social machine! 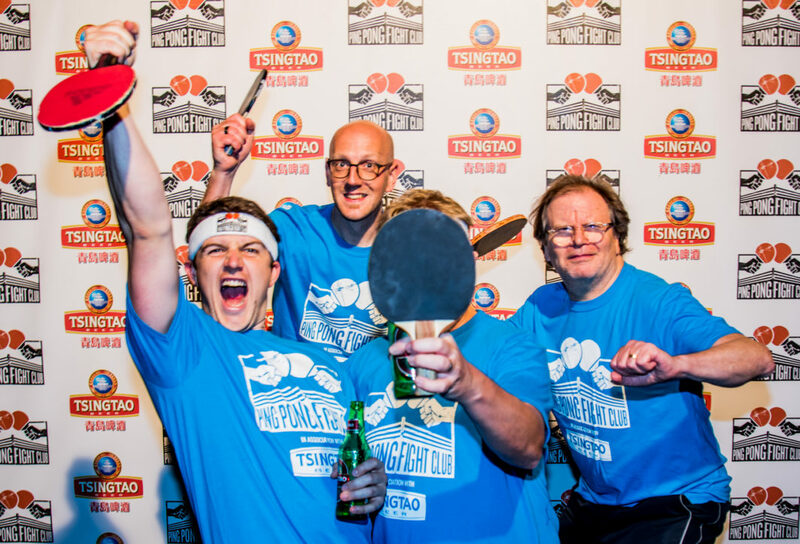 They were never without a Tsingtao, a paddle or a smile! 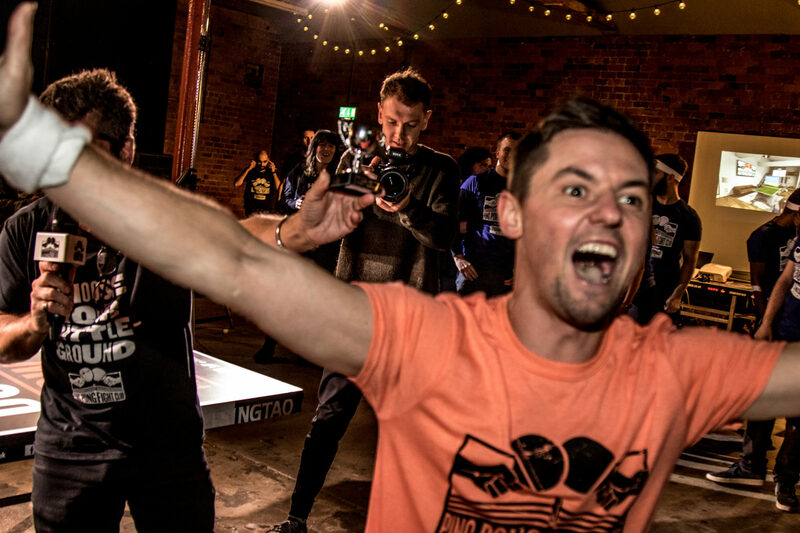 Round Agency– Gut busting ping pong capers from our favourite ping pong crusaders. Disruptive, rebellious and can’t wait to have them back! 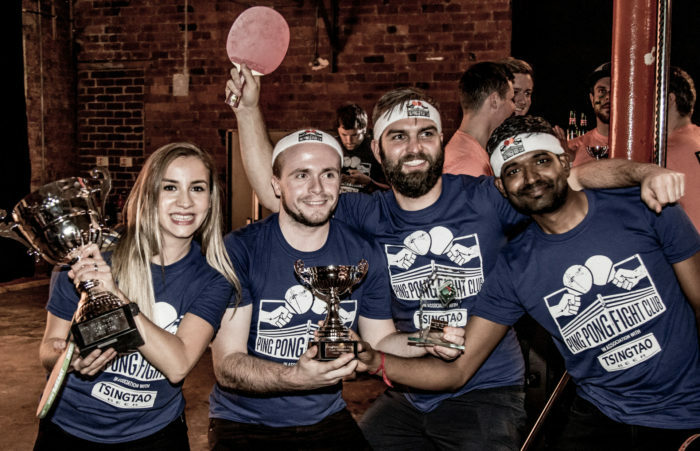 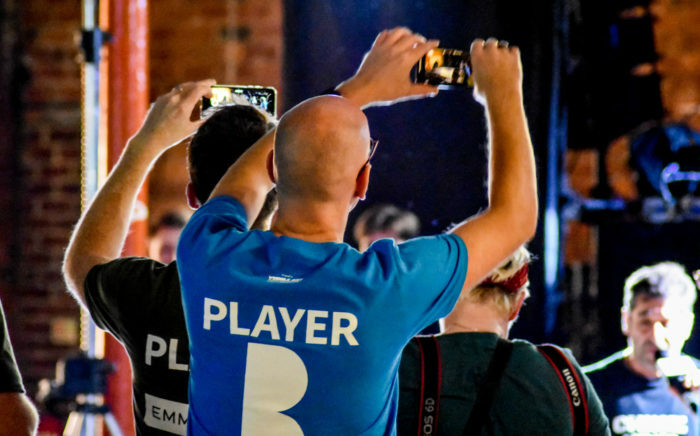 Bolser Agency– High-energy fun-loving crew from Bolser always turn up and turn it on at PPFC! 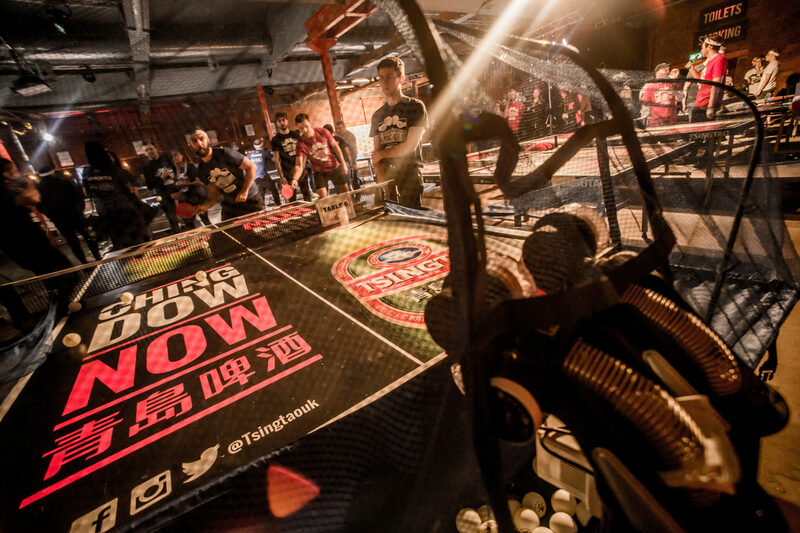 Against a backdrop of floor-filling ‘chunes’ from DJ Thomas, the party got off to a flying start from early doors, with Tsingtao’s inter-company Beer Championships quickly drawing a crowd keen to “sink ‘n’ drink”, alongside our ping pong robot taking on all-comers in the ‘Pongbot Challenge’. 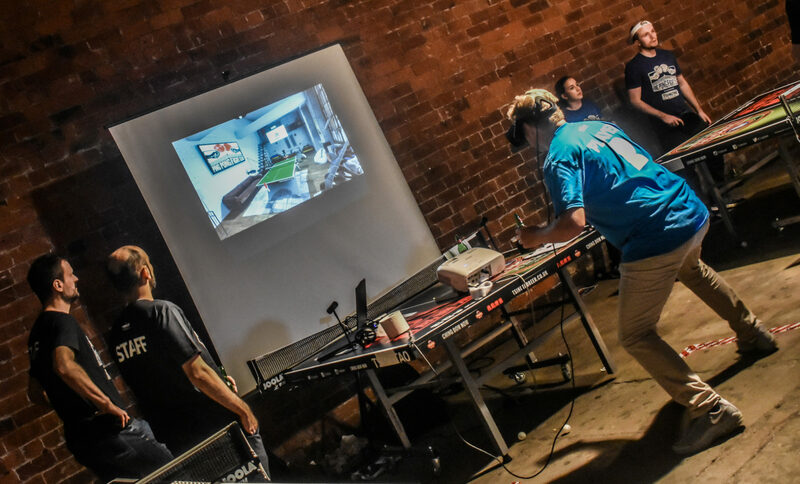 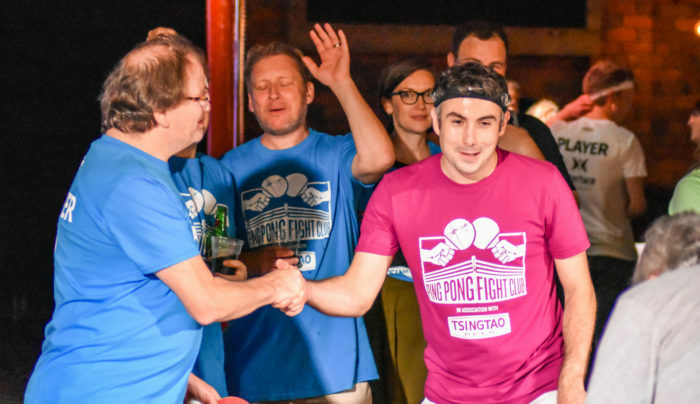 The VR ping pong challenge, a totally new concept to PPFC, spiked everyone’s curiosity going head to head against a virtual reality ping pong robot in a New York loft! Meanwhile, our double Olympian Andrea Holt was running the buddy-up doubles and swapping out her paddle for a frying pan in ‘Challenge The Pro’.